Some can be happy in a sad way, one can be sad in a happy way. It was less than half a year ago that I came across Martyn Bennett. The song was Blackbird, used in a video of Danny Macaskill, and got me hooked, literally within seconds. I ordered the album the song is on, “Grit”, that very same day. From the postman’s hand it went straight into permanent rotation, leaving catchy phrase signatures in my head. I will go as far as saying that every tune on “Grit” is a revelation and legacy to a true genius. Totally absorbed, enchanted and deeply moved by the tunes, I felt hit hard upon learning that the mind behind it had died from cancer, aged only 33. It’s nice to live in a time with instant virtual access to records and montages, there’s a lot to explore and enjoy. This won’t help get over deep felt sadness over the loss of a loved and loving fellow earthling. What it does is enable us to breathe, look each other in the eye, smile eventually and dance on. Today Martyn would have turned 43. 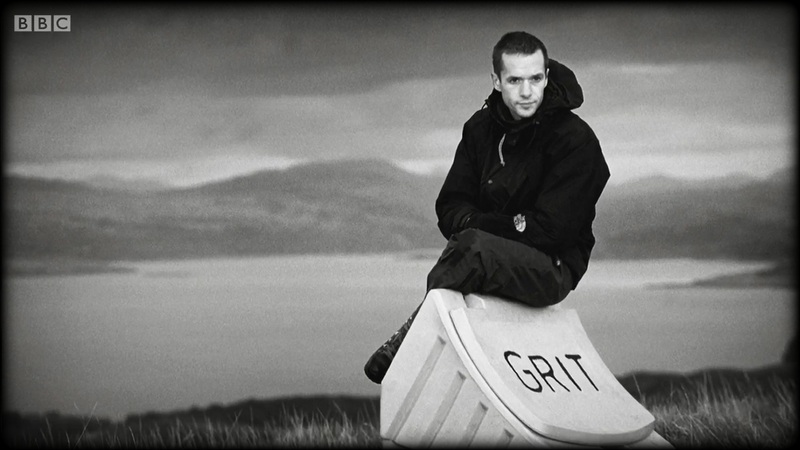 If you can access the BBC iPlayer set aside an hour and watch the live arrangement of Grit. You’ll witness that the dedication that went into arrangement and performance will drip from every pixel of your screen. Do not worry, it’s a heartwarming sensation and no harm to your hardware. Says me, who still has not made it past the first 20 minutes yet. If it isn’t accessible or tldw at least treat yourself to the opening tune Move and the subsequent Blackbird.